MURRIETA -- In what has become the premier Track & Field event of the Inland Empire, welcome to the 16th edition of the Inland Empire Championships! 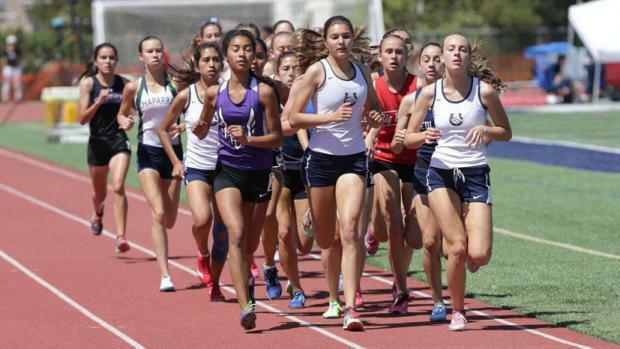 The best of Riverside County comes together with the best of San Bernardino County to showcase one of the strongest track & field hotbeds in the United States. Pound for pound, the Inland Empire has become the most competitive region in California. The Broncos of Vista Murrieta were the CIF Division I Boys Champions from 2010-2012. Great Oak stepped into the role the following two years only to see Vista Murrieta reclaim it in 2015. The Wolfpack brought home the team title in 2016, then stepped aside as Rancho Verde took top honors in 2017. In 2018, Great Oak earned their fourth title in the past six seasons! Count 'em up -- the Inland Empire has captured the last NINE team titles for Division 1. In the past four seasons, even the runner-up squad orginated from the IE. Continuing to highlight the talent in this region, Murrieta Mesa's boys catapulted to another level last year. Not only did the Rams capture the Division 2 team title, they held off Great Oak to earn the State team title in 2018! The last FOUR California State Boys' Team Titles have hailed from this region! On the girls' side, Great Oak earned the team tile in CIF-Southern Section Division 1 in 2018 to compliment the one the Wolfpack earned in 2016. They were the divisional team runner-up in 2015 and 2017. Meanwhile, Roosevelt earned runner-up plaques from 2011 to 2013. Both, Great Oak and Roosevelt have positioned themselves well for another run at the team title next month. We have them ranked second and third in our most recent divisional team rankings! At the 2018 Southern Section Finals, the Inland Empire earned 23 individual and relay titles, 26 runner-up medals to go along with 29 third-place distinctions! Meanwhile, glance through this preview and you will notice that most meet record holders are some of California's best ever! Glancing back to 2018, the IEC featured three California State champions while the Great Oak boys captured the state title in the 4x100 relay. Roosevelt's boys and girls both captured the varsity team trophies a year ago, holding off Vista Murrieta in both. Meanwhile, Vista Murrieta earned both Frosh/Soph team titles in 2018. 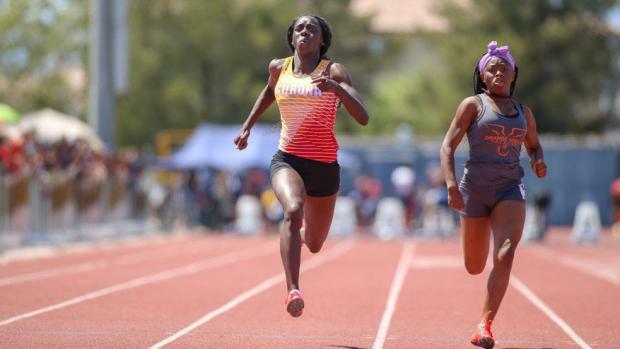 Most of the region's best athletes are bouncing back from last week's Arcadia Invitational. With league finals only two weeks away, the IE's very best is fine-tuning what it takes to make the month of May their best! We expect to see most meet records challenged on all levels as you do not want to overlook those future stars at the Frosh/Soph level! We witnessed new meet records set in 2018.... How many will fall here in 2019? The meet begins at 7:30 a.m. with the last race on the track scheduled for 5:25 p.m. Field events begin at 8:30 a.m. Please find the full meet schedule on the last page.